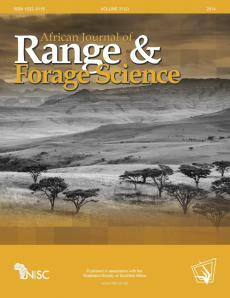 The African (formerly South African) Journal of Marine Science provides an international forum for the publication of original scientific contributions or critical reviews, involving oceanic, shelf or estuarine waters, inclusive of oceanography, studies of organisms and their habitats, and aquaculture. Papers on the conservation and management of living resources, relevant social science and governance, or new techniques, are all welcomed, as are those that integrate different disciplines. Priority will be given to rigorous, question-driven research, rather than descriptive research. Contributions from African waters, including the Southern Ocean, are particularly encouraged, although not to the exclusion of those from elsewhere that have relevance to the African context. Submissions may take the form of a paper or a short communication. The journal aims to achieve a balanced representation of subject areas but also publishes proceedings of symposia in dedicated issues, as well as guest-edited suites on thematic topics in regular issues. 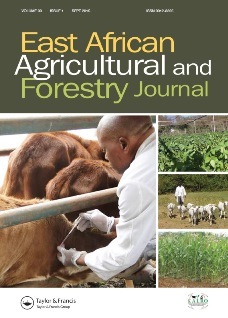 The journal is produced by NISC in association with the Fisheries branch of the South African Department of Agriculture, Forestry and Fisheries (DAFF). Acceptance of papers is the responsibility of the Editor-in-Chief in consultation with the Editors and members of the Editorial Advisory Board. All views expressed are those of the author and not necessarily those of the Editors or the Department. All manuscripts presented in accordance with instructions to authors should be submitted online at the African Journal of Marine Science ScholarOne Manuscripts site (http://mc.manuscriptcentral.com/tams). Submission and editorial policy: Submissions should be made online at the African Journal of Marine Science ScholarOne manuscripts site. New users should first create an account. Once a user is logged onto the site submissions should be made via the Author Centre. Should you have difficulty submitting material online, please notify the Editor-in-Chief, Sheldon Dudley, at sheldond@daff.gov.za. In a covering letter, the author is encouraged to suggest the names and contact addresses (including e-mail addresses) of three appropriate referees who have not been associated with the work or research being submitted, although the Editors will not be bound by such reviewers. Further, the author must confirm in the letter that the work is original and is not currently under consideration for publication elsewhere. Contributions must conform to the principles outlined in Ethical considerations in research publication available for download below. Submission of a manuscript implies the transfer of the copyright for the accepted article to the publisher and all those media that the publisher considers suitable for the dissemination of the work. However, the author retains the right to disseminate his/her own work. Maximum lengths of contributions should be 2 500 words for short communications and 7 500 words for full papers, but review articles of up to 12 000 words will be considered. Appendices, such as questionnaires and ancillary data, can be published as supplementary material (online only). Text: 1. Everything should be double spaced — text, quotations, footnotes, tables and table headings, legends, references to literature — though greater spacing may be used where helpful (particularly around equations and formulae). 2. Lines should be numbered. 3. All pages of the manuscript are to be numbered with Arabic numbers. 5. All manuscripts are to be accompanied by an alphabetical list of keywords that do not appear in the title and that are obtained from the whole article. They should follow the abstract. 6. Whether subdivided by paragraphs only or also by formal headings and subheadings, the text should follow the order: Introduction, Material and Methods, Results and Discussion. Obligatory as main headings are: Acknowledgements, References and Summary (if a summary is needed). 7. If the text is formally subdivided, the headings and subheadings need not be numbered. The main headings listed in ‘6’ should not be repeated slavishly, as long as their intention is the same. The use of Introduction or its equivalent is optional. Three categories of headings should be sufficient and distinguished clearly. 8. New paragraphs should be clearly identified. 9. Only those words to be printed in italics should be shown so or underlined. 11. Statistical presentation guidelines are available for download below. 12. Numbers in text are to be spelled out if smaller than 10, but a series of numbers including numbers smaller and larger than 10 should all be listed in numerals. In a sentence overloaded with numbers it is permissible to give certain categories in numerals and others in words. Avoid starting a sentence with a numeral. 13. Footnotes are to be avoided, but if necessary they must be numbered consecutively in the text and typed under a horizontal line at the foot of the page concerned. Abstract: 1. Each manuscript must have an abstract, the length of which should not exceed 200 words or 3% of the paper, whichever is the lesser. 2. Subdivision into paragraphs and references to literature are not permitted. 3. The abstract should summarise the contents and conclusions of the paper, point to new information contained therein, and indicate the relevance of the work. Summary: If a summary is necessary, it should list seriatim the principal facts and conclusions of the paper. Acknowledgements: This section is to be kept brief and only special help acknowledged. Tables: 1. Tables should be carefully constructed so that the data presented may be easily understood. Care should be taken not to overload a table with information or unnecessarily proliferate tables or tabulations. 2. Both tables (numbered) and tabulations (not numbered) are permitted, but the use of tabulations is to be limited. Tabulations should contain no more than six items of information. More voluminous listings are to be called tables. 3. In constructing both tables and tabulations the size of the printed publication should be borne in mind. 4. Each table should be provided with a descriptive legend which, together with the column headings of the table, makes it intelligible within the context of the paper without reference to the text. 5. Tables should be numbered consecutively in Arabic numerals, e.g. Table 1, Table 2. Although it will not be printed, tabulations should also bear a number, e.g. Tabulation 1. 6. Footnotes to tables should be minimised. 7. Magnitude known to be nil is shown by a zero or gap; ‘no data’ by a dash or in words. 8. Decimal fractions should be preceded by a zero and columns of figures aligned on the decimal marker. Integers are to be aligned on the least significant digit. A space separates groups of three digits, e.g. 5 480 000. Spacing does not apply to dates and similar numbers. 9. Tables and figures do not normally duplicate one another. Select the most appropriate presentation, e.g. graphs for trends. 10. Each table should be referred to by a number in the text in sequence and discussed. Figures: 1. All illustrations, whether black-and-white drawings, graphs, photographs (colour or monochrome) or charts, are to be designated as figures. Colour will be used only when essential. 2. Each figure must be mentioned by number in sequence in the text and described. 3. A legend should be provided for each figure which, together with the illustration, should make the whole intelligible without reference to the text. 4. Figures are to be numbered consecutively in Arabic numerals, e.g. Figure 1, Figure 2. 5. Small illustrations may be grouped together on a page, the parts then being identified by small letters, e.g. Figure 1a, Figure 1b. The legend should correspond. 6. Figures are to be prepared to a maximum width of 84 mm or 176 mm. The size, line thickness and spacing of lettering, lines and data points should take into account the final size of the illustration. For graphs and diagrams, lines should be 0.5 point with lettering in 9 point Arial. 7. Illustrations, where the size of the object shown is important, should have a metric bar scale drawn in on them. If impossible, actual size may be mentioned in the legend. 8. Care should be taken so that figures are not overcrowded with information. On the other hand, information that can easily be depicted in a single figure should not be given in several. 9. Graphs, histograms, charts and similar matter should be boxed, i.e. enclosed on all four sides. Data points, regression formulae, sample size, confidence limits, adequate graduations, etc. may be included wherever needed. Graphics and illustrations: 1. Authors must ensure that their figures conform to the style of the journal. Pay particular attention to line thickness, font and figure proportions, taking into account the Journal’s printed page size (210 × 275 mm). Costs of redrawing figures may be charged. Please refer to Figure Guidelines for Authors: format, style and technical considerations available for download below. 2. For digital photographs or scanned images the resolution should be at least 300 dpi for colour or greyscale artwork and a minimum of 600 dpi for black line drawings. These can be saved (in order of preference) in PSD, JPEG, PDF or EPS format. 3. Graphs, charts or maps can be saved in AI, PDF or EPS format. MS Office files (Word, Powerpoint, Excel) are also acceptable but DO NOT EMBED Excel graphs or Powerpoint slides in a MS Word document, rather send the original Excel or Powerpoint files. More detailed technical information is given in Figure Guidelines for Authors. References: 1. Reference to literature cited in text could be as follows: Griffiths (2000) showed that... or ...intense plankton production (Carr 2002). Other examples: Crawford (2001, 2003); (Crawford 1981a, 1981b; Hampton 1987). 2. If an unpublished book or article has been accepted for publication, it should be listed in the References followed by the notation ‘in press’. Only those manuscripts that are in galley- or page-proof stage or for which there is an acceptance letter can be considered in press. As much information as possible is to be given about the intended manner of publication, e.g. name of journal. If an article is in preparation, or submitted but yet not accepted, state the name and affiliation of the author of the material followed by the notation ‘unpublished data’ in the text and do not include it in the reference list. Reference to ‘pers. comm.’ or ‘in litt.’ is allowed. 3. Reference in the text to works with more than two authors should be given as the senior author et al., e.g. Payne et al. (1982). 4. A quotation from a reference should list the page quoted and be enclosed in quotation marks. Spelling, punctuation and wording must conform to the original in all respects. Mistakes in the original may be pointed out by inserting [sic] after each one. 5. Works quoted in the text but not actually seen should be given as, e.g. Ratcliffe (1991) as cited by Dallas and Day (1993). Such literature need not be listed in the References. 6. Only literature actually quoted in the text is to be listed in the References, which should strictly only include works published, being published or in an advanced state of preparation. However, listings of theses, (doctoral and masters only) and symposia presentations will be permitted. 7. The list of literature provided at the end of the text must be in alphabetic sequence of first authors, e.g. Newman (1976) precedes Newman and Pollock (1960). 8. Where more than one publication by the same author is listed, his/her name must be repeated and the listing is chronological. 9. The use of Anon. for author should be avoided by the use of a corporate name. 10. Titles of periodicals must be listed in full. 11. Works quoted in a language different from that of the original publication are to be identified as, e.g. (translated from Russian) in parentheses at the end of the reference. The titles of works written in non-Roman characters are to be transliterated and the fact noted by appending (in Japanese) or (in Russian, with English abstract). 12. Internet references should include the full URL of the site accessed (or article digital object identifier) along with the date of access. 13. Examples (refer to Reference Exemplars for Authors available for download below. Christensen V, Walters CJ. In press. Trade-offs in ecosystem-scale optimization of fisheries management policies. Bulletin of Marine Science. FAO (Food and Agriculture Organization). 2002. 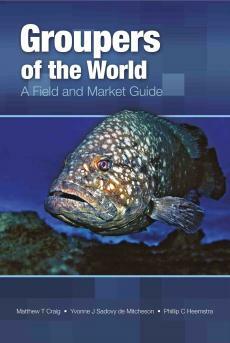 The state of world fisheries and aquaculture. 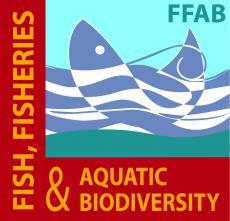 Rome: FAO Fisheries Department. Griffiths MH. 2000a. Long-term trends in catch and effort of commercial linefish off South Africa’s Cape Province: snapshots of the 20th century. South African Journal of Marine Science 22: 81–110. Griffiths MH. 2000b. Atractoscion aequidens. In: Mann BQ (ed. ), Southern African marine linefish status reports. Special Publication No. 7. Durban: Oceanographic Research Institute. pp 83–84. Hall S (ed.). 1999. The effects of fishing on marine ecosystems and ecology. Oxford: Blackwell. IUCN (International Union for Conservation of Nature). 2008. 2008 IUCN Red List of threatened species. Available at http://www.iucnredlist.org [accessed 8 January 2009]. Mori M, Butterworth DS. 2002. An updated assessment for the South African kingklip resource. Unpublished Report No. WG/10/02/D:K:19. Marine and Coastal Management, Cape Town. Payne AIL. 1995. Cape hakes. In: Payne AIL, Crawford RJM (eds), Oceans of life off southern Africa (2nd edn). Cape Town: Vlaeberg. pp 136–147. Rice JC. 2000. Evaluating fishery impacts using metrics of community structure. ICES Journal of Marine Science 57: 682–688. Whittington PA. 2002. Survival and movements of African penguins, especially after oiling. PhD thesis, University of Cape Town, South Africa. Page charges: Attention is drawn to the fact that contributions submitted to the journal will be liable for charges at the following rates: ZAR250 per page for African contributors (excl. VAT for South Africa) or USD45 per page for other contributors. Illustrations can be reproduced in colour, but only when essential, and subject to approval by the Editor-in-Chief. Non-essential use of colour will be charged at ZAR900 (excl. VAT) per page for African contributors and USD150 per page for contributors from elsewhere. Authors who do not receive subsidies from their institutions may apply to the publisher to have their page charges waived. Reprints: Authors will be notified via e-mail when their article is available for download from the journal website. 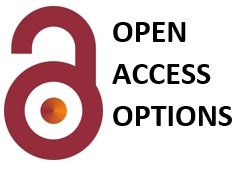 Open access: African Journal of Marine Science is a hybrid journal which allows authors the option of publishing their article Open Access for a set fee. Further details are given in Gold Open Access Procedure Document available from the NISC Open Access Page. Enter your details below to subscribe to African Journal of Marine Science. Have a question about African Journal of Marine Science? Call us on +27(0)46 622 9698 or submit an enquiry using the form.